Saturday, June 18th, 2016, at 6:30 pm – Performance at the Twilight Concert Series of the Palo Alto Park District, Mitchell Park Courtyard. Sunday, May 15th, 2016, 3:30 pm – Spring Concert at the Menlo-Atherton Performing Arts Center. 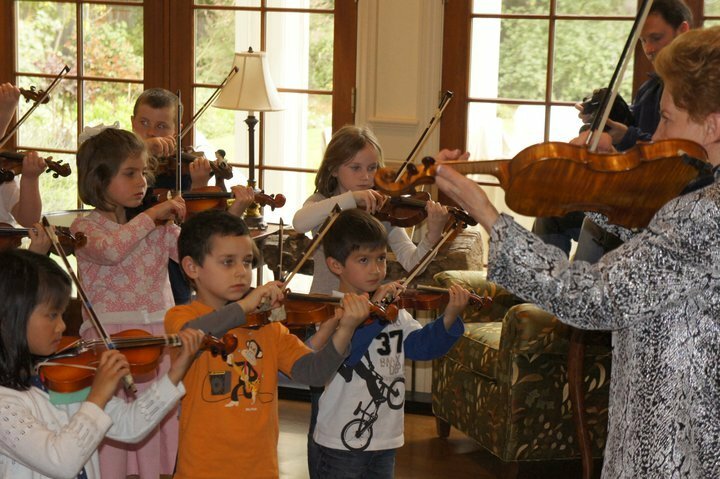 A grant from the city of Menlo Park enabled us to offer an extra-special concert this year. We were honored that violinist Geoff Nuttall of the St. Lawrence String Quartet (Quartet in Residence at Stanford University), joined us on stage! In addition, our fledging Classical Guitar Program presented a few pieces. Sunday, November 29th, 2015 at 12 pm and 2 pm. – We were invited back to the California Academy of Sciences to perform in their annual Holiday Concert event on the Piazza stage! March 29th, 2015 at 3:30 pm – Spring Concert at Cubberley Theater, Palo Alto. Sunday, March 30th, 2014, 3:30 pm: Select members of Magical Strings West are performing as guests of the San Francisco Chamber Orchestra at a free Family Concert in the San Mateo College Theater, 1700 Hillsdale Blvd, San Mateo. Surprise Appearance at Mr. Strode’s 80th birthday party! 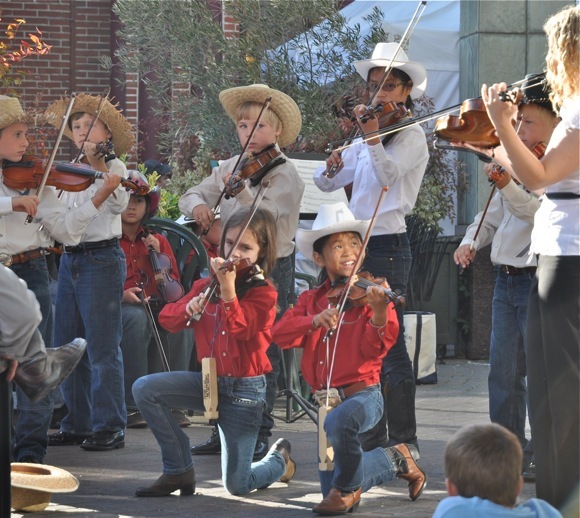 Saturday, June 1st, 2013, 4:00 pm: Magical Strings West Spring Concert at the First Presbyterian Church of Palo Alto. Free Admission. May 22nd through May 25th, 2013: Rehearsals with the Betty Haag Academy in Buffalo Grove, IL, culminating in a concert in Chicago’s Orchestra Hall at Symphony Center. Sunday, March 24th, 2013, 3:30 pm: Select members of Magical Strings West are performing as guests of the San Francisco Chamber Orchestra at a free Family Concert in the San Mateo College Theater, 1700 Hillsdale Blvd, San Mateo. 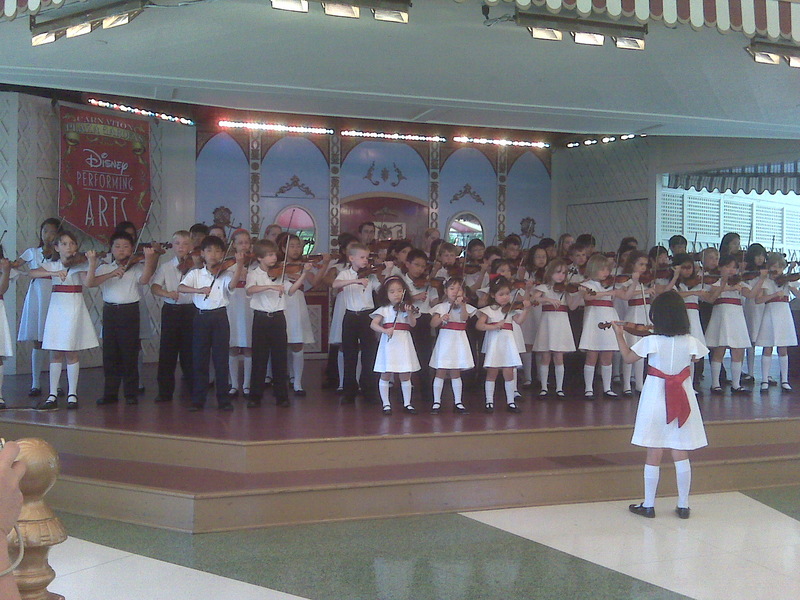 Saturday, December 3rd, 2011, 2:00 pm ; Performance at BloomingdalesStanford. Open to the public and free! Saturday, June 4th, 2011, 3:30 pm ; Performance at the Unitarian Universalist Fellowship, 2124 Brewster (at Lowell), Redwood City. Saturday, May 21st 2011 – Performance with the Betty Haag Academy of Music in Orchestra Hall, Chicago. Outdoor performance at Cafe Borrone, Menlo Park, August 20th, culminating a 3-day workshop with guest master teacher Betty Haag of the Betty Haag Academy of Music in suburban Chicago. Guest appearance/performance on August 21st at the Carol Stinson Literary Foundation’s fundraiser. Los Angeles Tour with the Magical Strings of Youth of the Betty Haag Academy, June 12th – 19th, 2010, with performances at the Crystal Cathedral, LA Children’s Hospital, Segerstrom Concert Hall with the Pacific Symphony and violinist Vadim Gluzman, Walt Disney Concert Hall, Avalon Casino Ballroom – Catalina Island, and Disneyland.